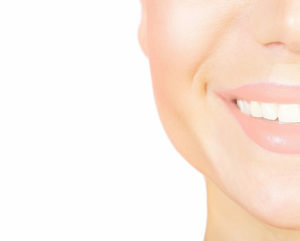 A veneer is simply a thin layer composed of porcelain, acrylic, or composite attached to the surface of the tooth. correcting the shape of a tooth or other visible defects. A crown is put in when a tooth appears fragile or has been devitalized. The crown helps cover the tooth over the long term to protect it. It is very stylish, and the whole procedure takes just two appointments. The crown is made in two steps. The first step involves sizing and making an impression of the tooth. The impression is then sent to the laboratory to make the crown. We predict a waiting period of 10 business days before receiving the crown. During this period, a temporary crown will be placed on the site. The second step involves placing the crown in your mouth. A bridge – also called a “fixed bridge” or a “fixed dental prosthesis” – is a dental restoration that replaces one or more missing teeth. It usually takes the form of an artificial tooth inserted between two crowns and extends from one end of the edentulous zone to the other. The bridge is firmly held in place by the teeth on each side of the missing tooth or teeth; it is permanently attached and cannot be removed. The consequences of the loss of one or more teeth can be dramatic for the patient, not only on an aesthetic level, but also for their health in general. It can cause digestive issues, malnutrition, nutritional deficiencies, and speech problems. The loss of one or more teeth can cause an imbalance in the jaw, creating problems in the joint and occlusion. It’s therefore important to replace missing teeth without waiting too long. There are several options available to you – for example, a crown on implants, a fixed bridge, or a bridge supported by implants. In case there’s a whole row of missing teeth, it’s also possible to make full or partial dentures on implants. 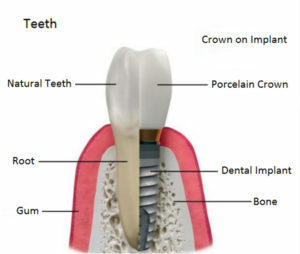 A crown on an implant is the solution recommended by dentists when only one tooth has been lost. The reason is quite simple: it’s the treatment that most closely resembles a natural tooth. Same hygiene as a natural tooth. The same principle as a conventional bridge, but instead of being supported by the “pillars” of the natural teeth, it’s supported by implants. 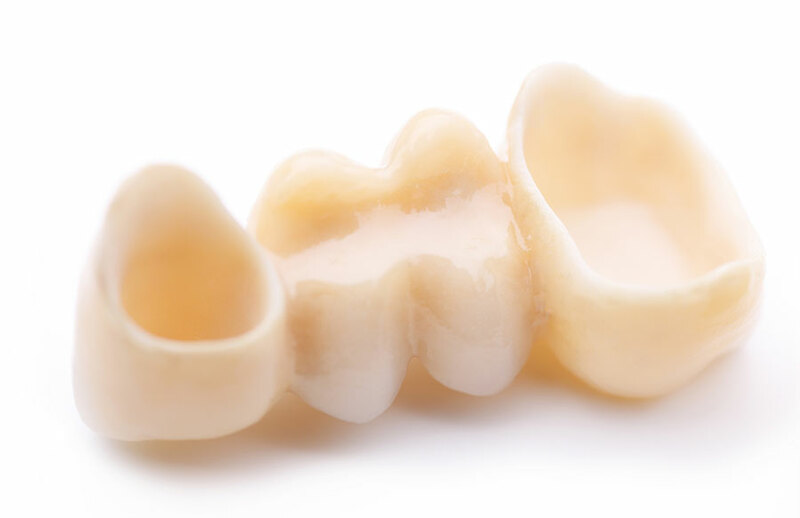 Bridges on implants are used if you don’t have healthy teeth or enough teeth to support a bridge, if you’re missing several teeth, or if you no longer have any teeth. A custom-made porcelain bridge is attached to the dental implants. Dr. Hanna will first determine if dental implants are recommended in your case. Removable dentures on implants are ideal for patients whose full dental prosthesis (denture) is unstable in their mouth (lack of support from the gum). We can create the dentures on implants according to various methods. The chosen method will depend on the number of implants placed in the mouth and on functional restrictions (height available to make the prosthesis, position of the implants, etc.). Dr. Hanna can advise you and recommend the best treatment for your situation.